Siding plays a crucial role in protecting your home from the elements as well as enhancing the overall appearance of your residence. So, if your siding is outdated, cracked, warped, rotted, or otherwise damaged, then it’s probably time to replace it. And, luckily for you, that’s something the helpful professionals at Majors Home Improvement can assist with. 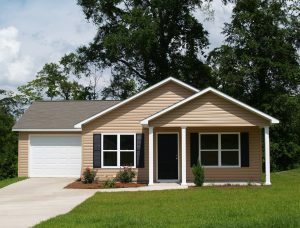 We are an experienced siding contractor that is pleased to install top-quality vinyl siding for homeowners in the Pensacola, Florida, area. With us on your side, you won’t have to worry about a thing. We’ll take care of every single part of the process – and will even leave your home cleaner than we found it. That’s just the kind of service you can expect from a highly rated, family owned and operated company. Insulated – Your home will be blanketed in a thermal layer of protection, which will enable it to maintain a cozy indoor environment without a heavy reliance on your HVAC system. Durable – The vinyl surface of the siding will repel rain even during the heaviest downpours, as well as resist scratching, abrasions, and other damage from everyday wear-and-tear. Beautiful – You’ll be able to choose from a range of colors to select the option that best complements your home. From beginning to end, you can count on Red Carpet Service from our team. This means you can expect to be treated with professionalism and respect, with all of your questions answered in a timely manner. It also means that every part of the renovation process will be communicated to you in a clear, concise way. We never want you to feel in the dark about your installation, which is why the production manager assigned to your project will be in constant communication with you through phone calls and emails. During installation, you can count on the same level of care and professionalism that you’ve come to expect from our team. Our installers are factory certified to install our vinyl siding, which means they will always meet or exceed the industry standard. But more than that, they are also respectful and thoughtful. They will take the time to tell you exactly what they’ll be doing and also make sure your pets aren’t stressed out by their presence. Once they are finished with the installation, they will show you exactly what they did and make sure you are completely happy with your new siding before considering their job complete. Even better, your home will be in pristine condition when they leave. If your home needs new siding and you want to work with a team committed to providing a positive renovation experience, turn to Majors Home Improvement. Contact us today and one of our knowledgeable representatives will be happy to schedule a complimentary vinyl siding consultation at your home in Pensacola, FL, or a nearby city.